The Colorado Avalanche storybook season has come to an end. 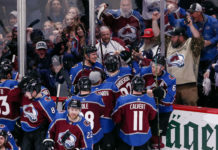 On Sunday evening at Pepsi Center, the Nashville Predators closed out the first-round series with Colorado in an anticlimactic Game Six by the final score of 5-0. 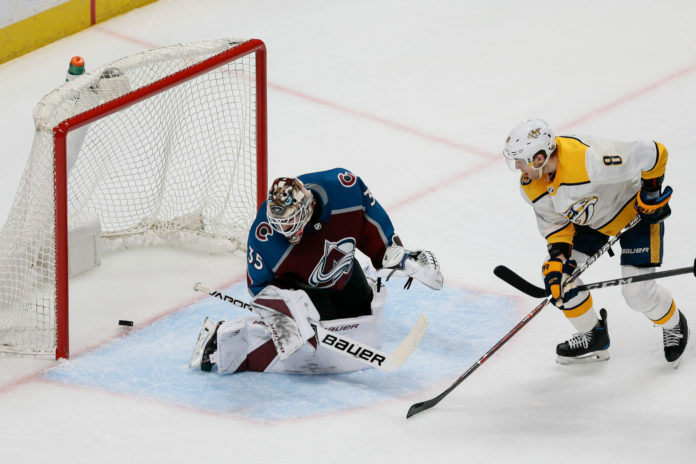 The Predators controlled the game from the start, causing their usual havoc on the forecheck and preventing the Avalanche from creating any sort of offensive threat in the first period. The sellout crowd’s energy was quickly sucked out of the building when Nashville was first to get on the scoreboard at 7:02 into the game. A defensive lapse in Colorado’s zone led to a wide open Mattias Ekholm receiving a pass at the point and walking in to rip a powerful slap shot. 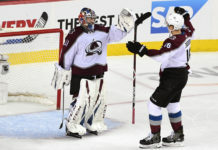 Avs goaltender Andrew Hammond was in perfect position to save the shot, however, was screened as the shot came, preventing Hammond from seeing the puck. Soon after, a broken play around the net led Nashville’s Auston Watson to clean up the loose puck, tapping it into a wide-open net. Colton Sissons and Nick Bonino recorded assists on both Predators goals. The Avalanche headed to the dressing room for the first intermission down 2-0, losing in the shot count 14-7 and with seemingly no momentum on their side. With 38 seconds into the second period, Nashville scored its third goal of the game when Filip Forsberg scored on a two-on-one, beating Hammond under his glove hand for his fourth goal of the playoffs. Halfway through the second period, and therefore the game, Nashville scored its fourth goal making their series win all but official. Nick Bonino scored the goal that trickled past Hammond, giving Bonino his third point of the evening. Despite Hammond’s disappointment, he was still gracious for the response from Avs fans. 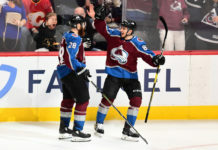 The Avalanche almost got on the board before the end of the second period, but the goal was immediately waved off due to goaltender interference by Carl Soderberg. Further reviews would confirm the call on the ice. The third period was no different from the rest of the game as Viktor Arvidsson scored the fifth goal for Nashville, continuing Colorado’s depressing evening. The Nashville Predators move on to play the Winnipeg Jets in the second round as Colorado’s offseason is officially underway.